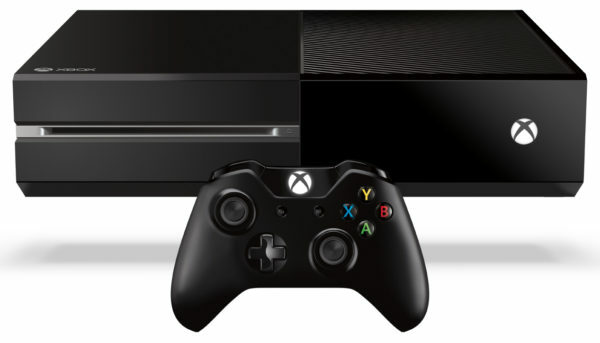 The Xbox One is one of the most popular gaming consoles ever. While it has been out a few years now, the Xbox One S and Xbox One X(previously called Project Scorpio) is a somewhat new release and is sure to be on plenty of Christmas lists this season. So, let’s take a look at some of the best deals for Xbox Ones on Black Friday. Amazon is often considered the king of stores, and in this case Amazon certainly lives up to this reputation. What’s better than a new gaming console? A new gaming console with a game included, of course. Amazon offers a great deal with either Forza 3 or Assassins Creed Origins bundled with the Xbox One S with a full terabyte of memory. Whether you have a racing fan or one excited to see the resurgence of one of the most popular franchises in modern gaming history, you’ll have a great deal at $300 instead of $350, which is saving nearly enough to buy a newly released title, or several from our Black Friday Video Game article. The higher quality version of the Xbox One with higher graphics ability and a stronger processor, the Xbox One X is the Ferrari of gaming consoles. At this time, it is $500, which is either on par or $100 cheaper than most other vendors. It should be noted that this console does not come as a bundle so any games that would be played on this console need to be purchased separately. Fry’s is a fantastic electronics retailer for many things, including game consoles (or a router or two, as seen in our Black Friday Router article). Let’s take a look at some of the best deals. Is 1 TB of memory a bit much, or do you not mind something lighter in both memory and on your wallet? If so, then Fry’s has a great deal for you. At $190, you’re already saving $90, but as an added bonus, Fry’s will also give you an additional $25 gift card to spend as you so choose. Unlike many specials from this store, it is possible to order this deal online for local delivery, which is great news if you’re not near a store. A more powerful version of the Xbox One, the Xbox One X is touted as the most powerful gaming console available and is capable of 4k gaming, which makes 1080p resolution look aged in comparison. If only the best will do, this console certainly will, but at a price of $500, which depending on outlet is the exact MSRP or about $100 savings. The Xbox One X is available for free shipping, which is a considerable savings. As one can expect, one of the largest retailers in the world has at least one good deal on one of the most popular gaming consoles around. One of the best shooters- and inventive, for that matter – in recent years has been Battlefield One, which covers the events of World War 1. This bundle version of the game includes all of the DLC available at this time. 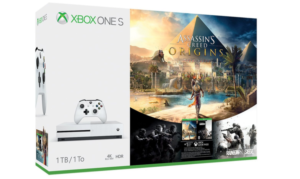 Alongside this game, the bundle includes a modest Xbox One S with 500 GB of memory at a fantastic deal of $200. If you need to effectively sneak away for a few moments to reserve a console while shopping for, say, additional items to mix up the leftovers a bit, then Fred Meyers is a fantastic choice to get some holiday shopping done. For Black Friday, Fred Meyers is offering an Xbox One S with 500 GB of memory for $190. This can be paired with a great deal of video games that are on steep discount at the store as well, where most are down from $60 to $35, meaning the potential savings can be put back into the gift as a small variety of games. These are the current deals available for the Xbox One, Xbox One S, and Xbox One X lines for Black Friday 2017. Overall, it appears that Fry’s, Amazon and Walmart all have decent options depending on exactly what you want as a gift (either for someone else, or yourself). Did you happen upon a better deal than those listed above? If so, please be sure to let us know in the comments so fellow shoppers can get a good edge in their Black Friday bargain shopping!